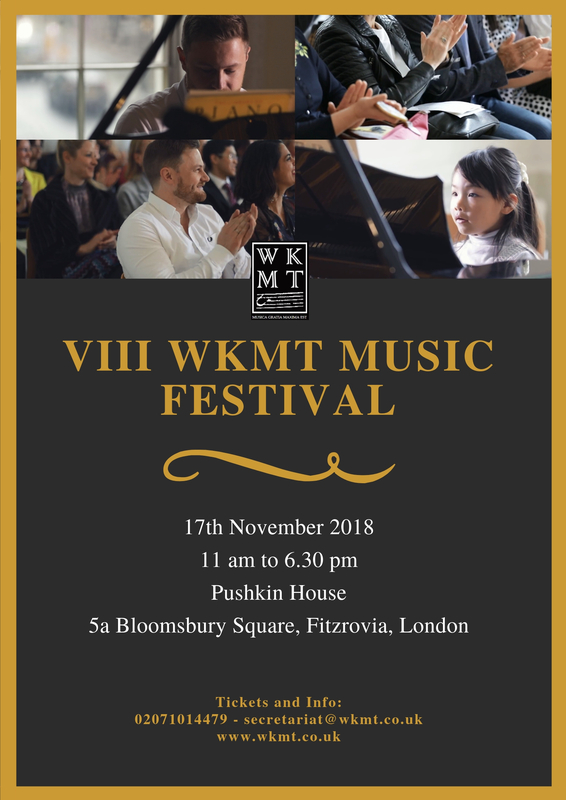 WKMT London Piano Studio is back for its VIII Edition of Music Festivals. This time, we will be again in our usual venue, the magnificent Pushkin House, in Holborn. We will count on the beautiful Library with fine food and drinks before the concert happens at the stunning Music Room. Either professional musicians and students will have the chance of performing in front of the audience on a beautiful Steinway & Sons piano. The whole event will be fully recorded, so the participants will have their own performance(s) recorded professionally to save as a portfolio. Join us on the 17th and enjoy a great day in London while listening to beautiful classical music performances. Singing and guitar performances will also be on stage.